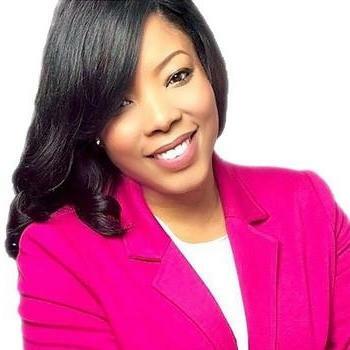 Attorney Nicole Page Theodore is a founding partner of Theodore & Robinson, LLC. She is a 2004 graduate of The Florida State University in Tallahassee, Florida, having earned a Bachelor’s of Science degree in International Affairs with a concentration in Spanish. Attorney Theodore earned her Juris Doctor degree from Atlanta’s John Marshall Law School in 2010. She was admitted to the State Bar of Gerogia in 2011, the U.S. District Court for the Northern District of Georgia in 2012, and the Supreme Court of Georgia in 2018. Attorney Theodore enjoys practicing business & entertainment law and helping her clients maintain compliance,… read more limit their liability and get the best deals possible. "I hired Nicole because I needed a high end business attorney for a complicated intellectual property agreement with partners. I tried to work it out with the partners but the language and terms were complicated. I hired Nicole to just "fix it" and she was able to work with the team of attorneys to get the job done. I recommend her highly and will use her again for my next projects." "I hired Nicole to help review a partnership agreement that had been drafted by my future business partner. After I explained the nature of our agreement, Nicole recommended that we actually should have a consulting agreement, which was better suited for what we wanted to accomplish. In addition to drafting a much better and more comprehensive agreement, Nicole also assisted with helping me to form my own consulting LLC in order to protect my personal assets. Overall, everything was completed in a timely fashion and for an affordable price. Nicole was very patient and willing to answer all of my amateur questions. She was always available whenever I needed to contact her. I am pleased that I was able to work with Nicole, and I highly recommend her." Co-Founding and Managing Partner; Handle Transactional Drafting of Various Types of Business and Entertainment Contracts; Negotiate Settlements; General Outside Counsel; Advise Clients on Business Matters.